Make your event unforgettable, book Boogie Storm to perform at your event – we are a booking agent for Boogie Storm, and can arrange for them to perform for your guests. 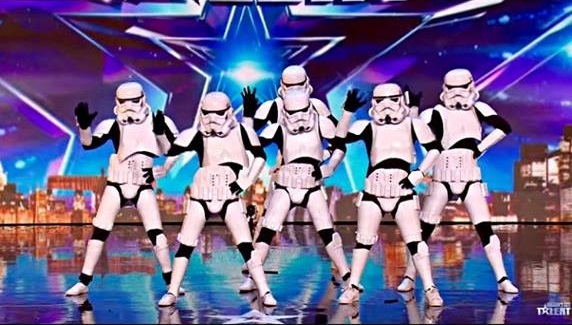 Boogie Storm’s Star Wars inspired dance act made a huge impact on the TV show and with the additional mystery surrounding their identities, they created a massive amount of hype and buzz around themselves. 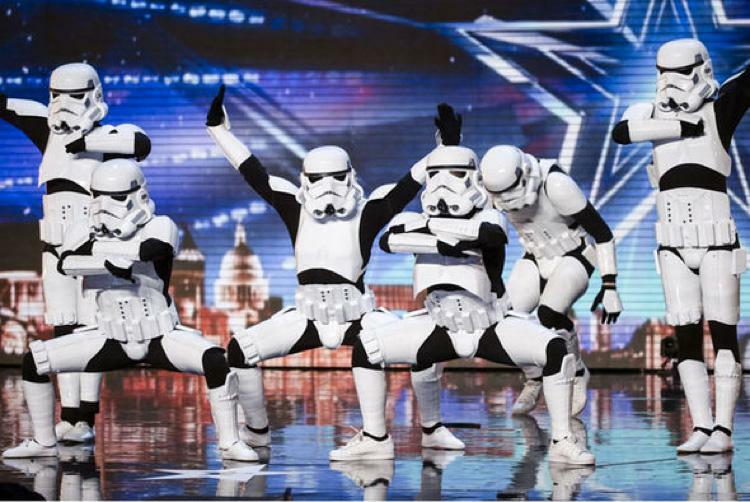 The group’s show stopping routines have already been in demand up and down the UK and even abroad. The act fits seamlessly into corporate shows, private events and nightclubs, etc. Contraband is the UK’s top booking agent, with helpful, experienced account managers who guarantee you the best deal possible. Contact us today if you would like to book Boogie Storm to be the headline of your event! We as your booking agent are more than happy to help you create the most memorable moments with Boogie Storm.